NEW YORK–Council member Fernando Cabrera was elected in 2010 to represent District 14. 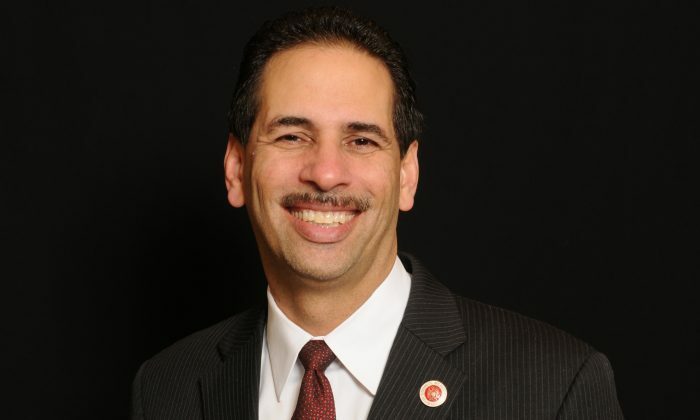 His district includes the neighborhoods of Fordham, Kingsbridge, Morris Heights, West Bronx, and University Heights. What was your biggest achievement in 2013? Cabrera says he is most proud of sponsoring the Crime Mapping Bill which gives residents all available information on criminal activity in their neighborhood. He marched to oppose a city policy that bans churches and religious organizations from using school buildings during off-hours for worship services. He is working with Congress to allocate funding for technology labs that teach programming to middle-school and high school students. Two high schools are in his district in the Bronx. “By the time they finish high school, they will be able to get hired already, because they will have that foundation,” he said. What will you be focusing on this year? This year Cabrera is developing a Tenant Bill of Rights. “A lot of people don’t know their rights,” he said, even some of the Council members, according to Cabrera. He also wants to introduce legislation to ensure that the principal or the school board notifies parents of any toxins or contaminants in their child’s school. Cabrera wants more security cameras in his district. He’s fixing his district’s parks as well. “My focus will be to be more involved in the community than ever,” he said. What are some of the issues your constituents are concerned about? If you had a coat of arms, what would it be, and why? Cabrera would use the shield of the Bronx to represent his coat of arms. “I’m a Bronx loyal, faithful Bronxonite,” he said. The seal would represent the Bronx mission. “At the end of the day, all politics is local, and we have to work on the future of the Bronx.” Cabrera believes that his district will be the most developed borough as developers are already showing renewed interest in his district. “We’ve got a lot to offer,” he said. He wants to give his constituents a vision of a hopeful future. He would use “Without a vision, the people perish,” as his slogan.